I wasn’t sure what I wanted for dinner but I knew I wanted it to be easy as I had a long car ride in the morning. 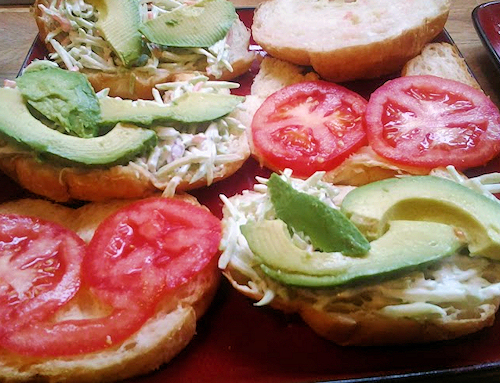 Something light but summery, fresh and tasty. Fish! Oh how I miss really good fish restaurants. I miss living by the ocean and being spoiled on the fresh catch of the day, We are lucky enough though that 30 minutes down the road is Mike’s Seafood and he has fresh selections flown in every day. He doesn’t sell meat just fresh fish and I love it. 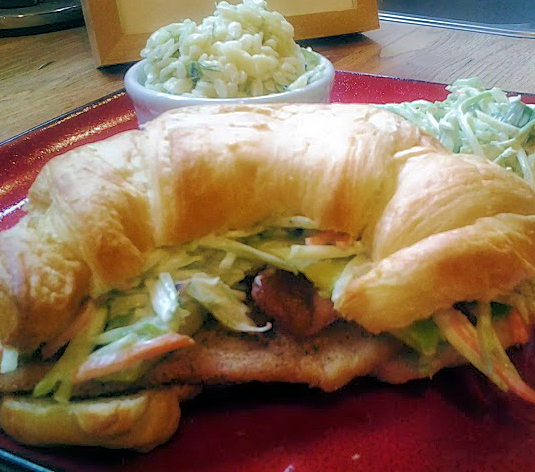 So today I picked up some fresh flounder fillets, grabbed some pre-cut lovely broccoli slaw and made my creation. Just wait till you taste the outcome. 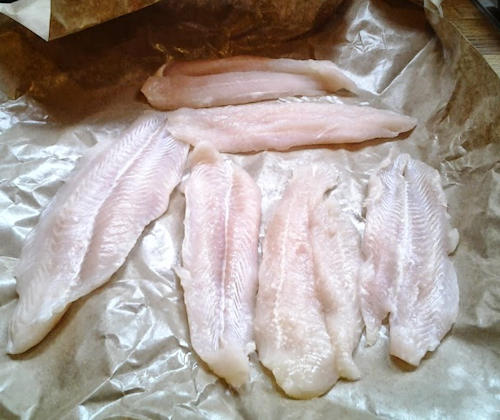 1 fish fillet for every person (for this meal I did 6 but this recipie can easily be scaled down) you can use Flounder or Talapia either will work nice. 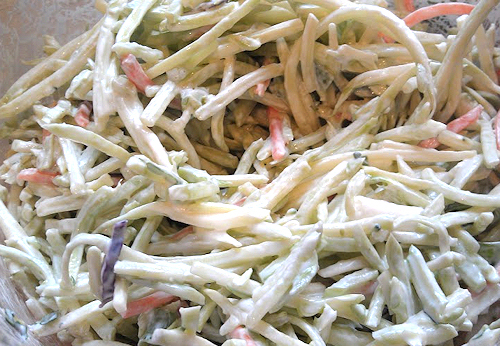 1 bag of premixed Broccoli slaw, If the do not have this. You simply need one head of broccoli, slice the stems of the broccoli lengthwise and thing, yes just the ends, slice some carrots lengthwise thinly about 2 inches long on both. Very easy. 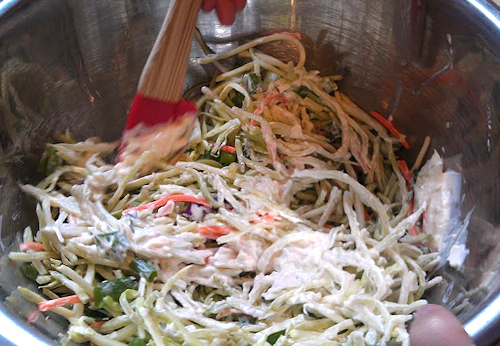 We will start with the slaw first get it out of the way. 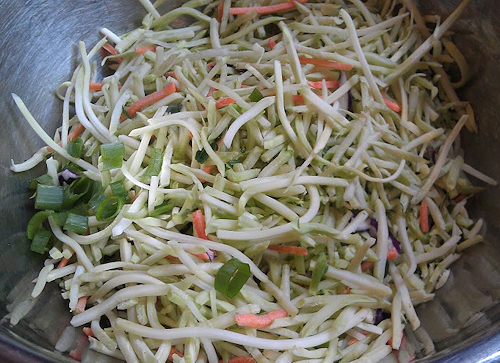 In a large mixing bowl add your rinsed bag of broccoli slaw. Some are pre-washed some are not so be sure to read your bag. I always give mine a quick rinse and shake off the excess water. 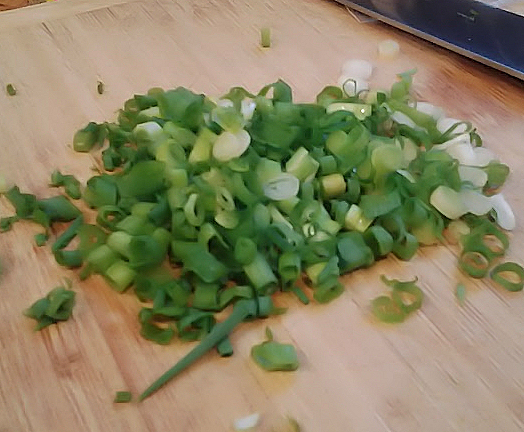 Dice your green onion. I used 1 and saved some for another recipe later but if you like yours with a little more onion go for it. Add to bowl. 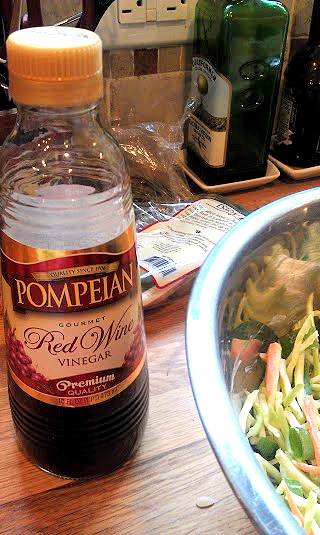 Now add your 1/2 cup of may and red wine vinegar. 1 of salt and 1/2 tsp of pepper. If you need to add more may depending on you bag size add by the tablespoon. Mix Well and your all done! 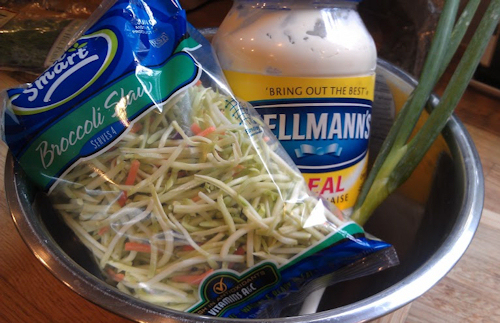 I like a nice cool slaw on my sandwich so I put it in the fridge, if you don’t by all mean leave it out. Now for the fish! Get your pan ready on the stove with oil in pan and heat on med to bring to temp. 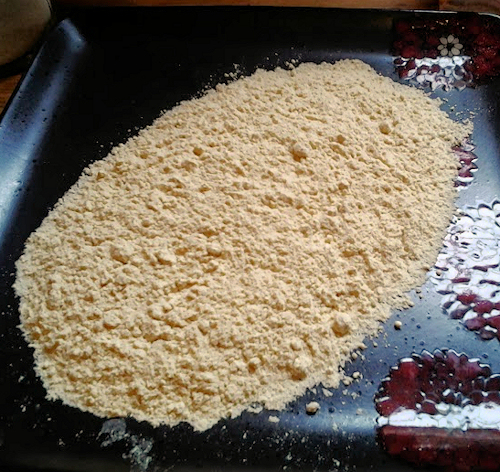 Take out fish, line up your egg wash plate and your seasoned fry mix or Flour mix. 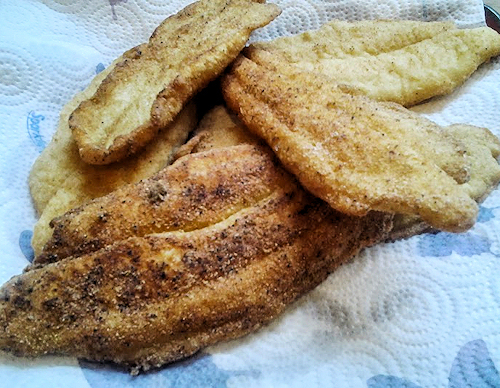 I used Zatarain’s Fish Fry I love the flavor and I add in the 1/4tsp of Old Bay for that extra zing. 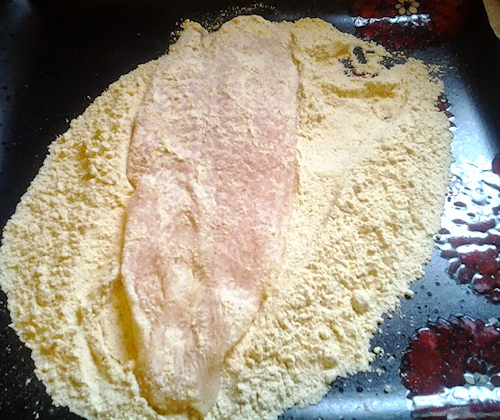 Take your fish lightly dip into the egg wash then the breading mix. 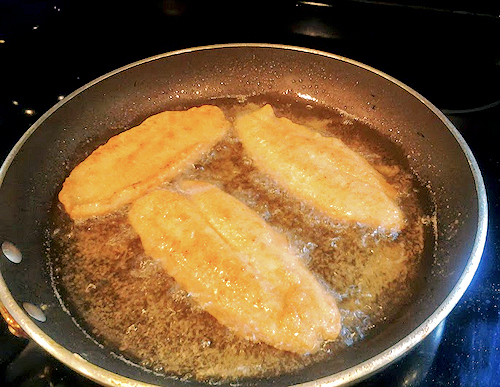 Take your fish and add to your hot oil placing it in laying the fish away from you to keep from getting splattered. 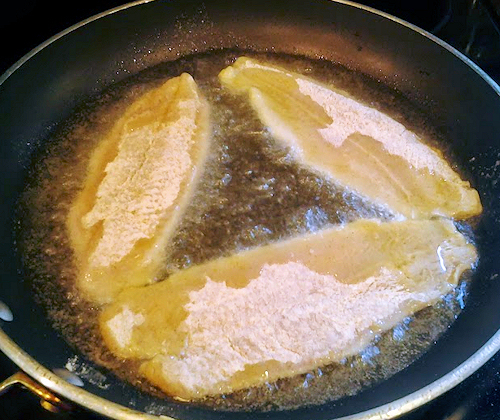 You can see the fish is almost covered, for my pan I only need a cup of oil. 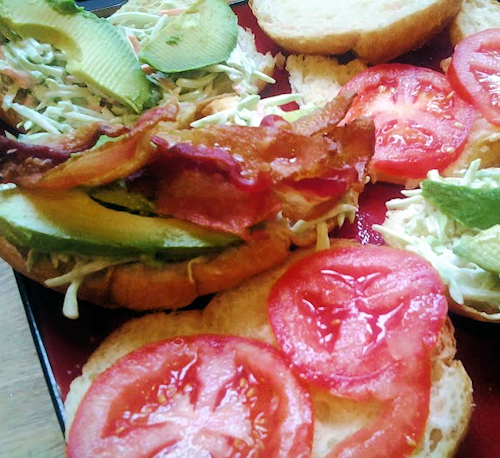 While this is cooking we can slice that avocado and tomato and place our bacon in the oven. 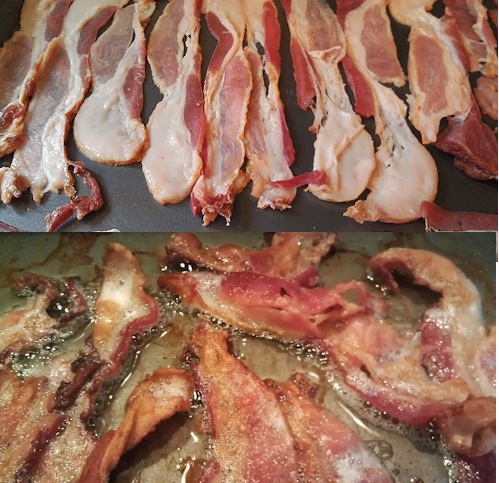 If you do not have cooked bacon on hand simply put the raw bacon onto a baking sheet (I line my sheet with parchment) put in a COLD oven and turn oven on to 425. Heat bacon for about 10-15 min and you have cooked bacon without all the mess! Time to flip the Fish! Seriously each side should cook about 5 minutes. You dont want it over done just nice and flakey. As each wonderful piece comes out set aside on a paper towel. Looks delicious right? 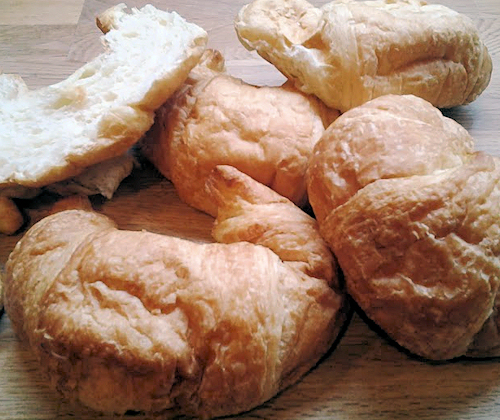 Lets get our croissants. Rethinking those buns now right? 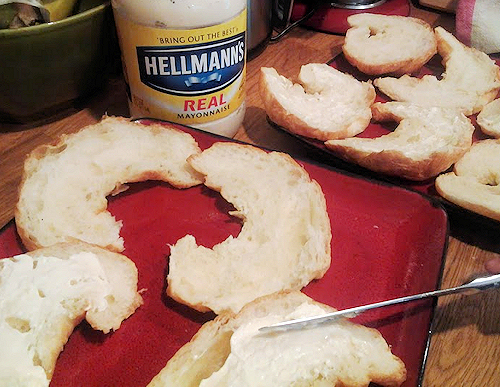 Open each and spread one side with a dabble of mayo. Yes dabble is a word. Don’t question me. 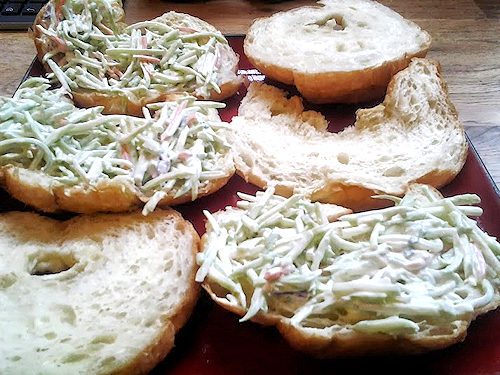 Place the broccoli slaw we made earlier on one side. 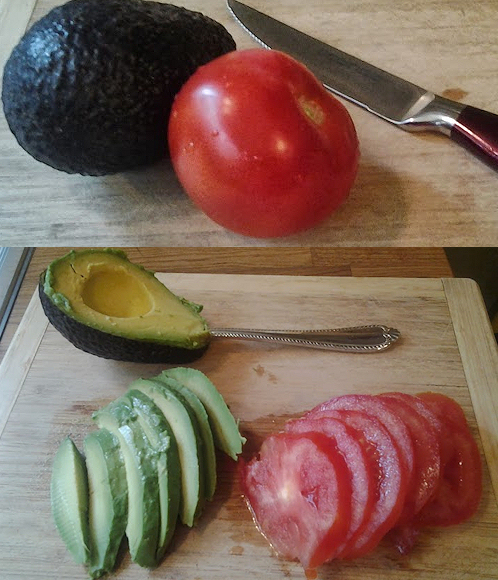 On the other put the slice of tomato and avocado. WHAT?? You don’t like avocado? Ok, then leave it off!! 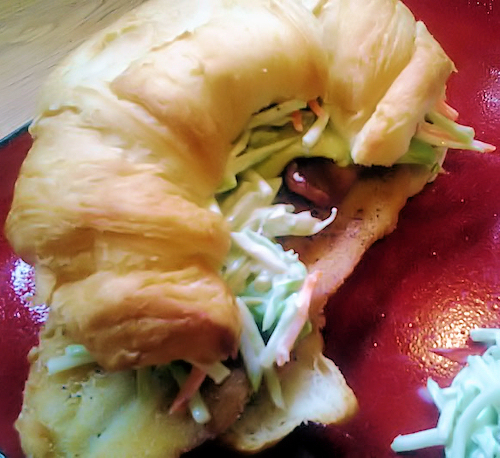 Either way this sammwich is good! Add 2 slices of bacon per piece. Slide a piece of fish on, close and enjoy! 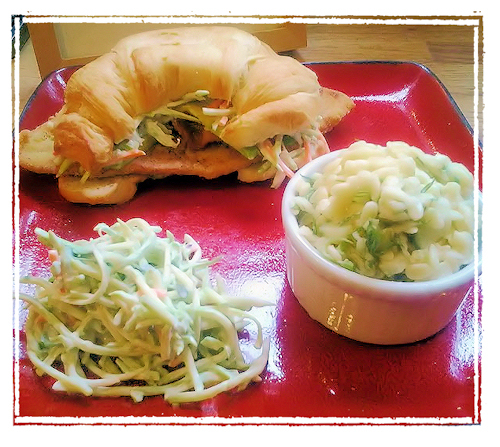 Everyone had to have more slaw on the side and I made my favorite cucumber orzo dill salad for the side!